Thanks for all the replys. I am contemplating the following, and am asking if anyone out there has already done this specific configuration in an early RV-12 as it came in the standard kits back in the 2010 era. Replace the G496 with the G660. Add the Uavionics EchoUAT system including the approved GPS source module. Remove the original G496 GPS antenna, and the XM weather antenna from the shelf in the engine compartment. Install the G660 optional GPS antenna on the shelf. Install the EchoUAT GPS antenna also on the shelf. Install the UAT antenna in the empennage away from all other antennas. Has anyone done this, and have you experienced any significant issues? I understand that I have to order the bare wire cable and the external antenna in addition to the G660. As I read the EchoUAT web info it comes with the necessay antennas. This is Shane with uAvionix. I'd be happy to jump in and help with any questions you or others might have regarding the EchoUAT as an IN/OUT solution, perfect for RV aircraft. I've worked with many, many RV owners on their installs, etc of ADS-B and would love to help if possible. I won't overstep into marketing or advertising, just trying to help fellow pilots become compliant with the least effort and cost. 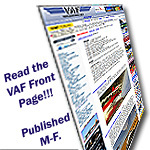 I was just at VAF home airport (52F) on Friday discussing RV installs. A couple questions that might help me better assist you and others. 1. Are you only looking for ADS-B Out to be 2020 Compliant? 2. If you are looking to use ADS-B In (Weather or Traffic) as well... What do you plan to display the Weather and Traffic on? GPS, EFIS, iPad, or Android? 3. Do you already have an ADS-B In (Receiver only) device? For any that use ForeFlight on an iPad or iPhone, EchoUAT is now fully supported by ForeFlight Connect in their latest 9.4 release. I removed the 496 and surface mounted an iFly GPS. The iFly viewing surface is about an inch away from the instrument panel. The iFly GPS works well without an external antenna. The Garmin 660 might also work well without an external antenna unless it is recessed into the panel. Although the iFly itself works great, its RS-232 data signal to my Dynon D-180 is intermittent. It seems to be a software problem and not a hardware problem. For that reason, I can not recommend the iFly 740 GPS. Joe, can I assume you have the latest firmware load on your D180, and that the 496 worked without any data loss? When I bought my RV-12, the nav data would frequently drop out. I'd be cruising along with the AP on, and every once in a while the AP would switch from NAV to TRK. Apparently that was a known problem with the D180, and updating the D180 software fixed it. I'm assuming you knew that and have your D180 up to date, though -- right? Shane, thank you very much for chiming in. 1. I currently use ForeFlight on an iPad in conjunction with a Status II for ADS-B in. 2. I plan to display ADS-B info on the G660 that I will install to replace the long-in-tooth G496, and on the iPad for backup and when I want a bigger screen and the full functions of FF. 3. Stratus. I will keep it for portable use when working with students in their airplanes. Hi Joe, thanks for jumping in. I plan to use an Airgizmo flush mount, and so I think I will want the external antenna since the 660 internal antenna will be surrounded by aluminum. You could get the EchoUAT / SkyFYX-Ext combo and that would have you set for ADS-B Out, but also have ADS-B In (dual-band) and a WAAS GPS feed for use on an iPad with ForeFlight or many other apps. EchoUAT would also feed Traffic and Weather to a GRT, MGL, AFS and other EFIS. Then you could very likely trade your Stratus 2 for a GDL39 to feed your Aera 660. To get ADS-B Weather / Traffic on the Garmin 660 GPS, you pretty much forced to use Garmin ADS-B devices. The iFly 740 would be a good option and as stated, I believe with the latest firmware and software for Dynon and iFly, that serial issue is fixed. Question? What kind of wingtip lights does your plane have on it. Nav only, Nav/Strobe, or Nav/Strobe/Tail Position all-in-one. You'll understand where I'm going next. Shane, are you saying the EchoUAT will not interface to the G660 for weather and traffic? This is Shane with uAvionix. I'd be happy to jump in and help with any questions you or others might have regarding the EchoUAT as an IN/OUT solution, perfect for RV aircraft. .
Shane, you wouldn't happen to be the same Shane that was VP for iFly (Adventure Pilot) where the service was outstanding? Last edited by springer : 10-09-2017 at 04:07 PM. Yes that's what he's saying. For ADSB-in you will need to add a GDL39 at some point. They show up periodically in the classifieds. There is one there now. Garmin products are proprietary and don't play well with other non Garmin stuff.